Earlier this year, Samsung introduced the NX500 camera which is basically a smaller version of its flagship mirrorless NX1. While it’s obvious that the main difference between the two cameras is their appearance, the NX500 also comes with the same 28-megapixel APS-C sensor as the NX1, in addition to the built-in DRIMe Vs image processor, 51200 ISO range, NFC, WiFi connectivity and a 3-inch angling Super AMOLED display. 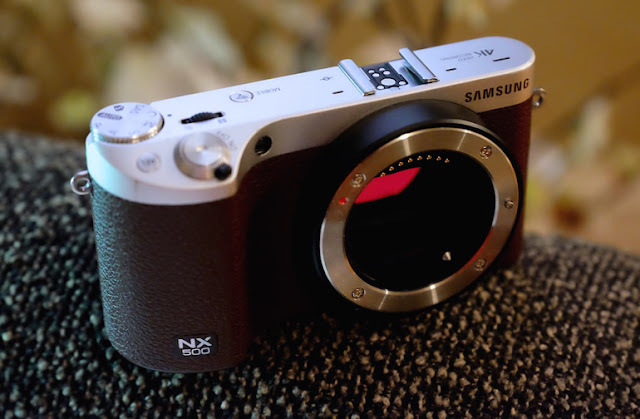 Aside from 720p to 1080p video format, the Samsung NX500 can as well shoot 24 (4,096x2,160) up to 30fps (3,840x2,160) 4K video with a continuous autofocus setting, making it stand out from the best compacts with huge features that will be soon out in the market. The only drawback about the camera is it’s made out of hard plastic though it has a compact and super light body, weighing at least half a pound.With the Samsung NX1’s continuous shooting and much better shutter speeds, the NX500 produces high-resolution pictures and video, not to mention the crisper, sharper and colorful 4K videos it can record. It’s no wonder that the Samsung NX500 is a promising compact mirrorless camera which comes with a kit lens at $800 price tag.